EVERYTHING YOU NEED TO KNOW ABOUT THE #ISTANDFORGIRLS CAMPAIGN! It’s almost that time again! Our 2018 #IStandForGirls campaign is coming up quickly and we’re so excited for what this year’s campaign has in store. If you were around last year, you’ll know that this is our second campaign and with the success of our first one (you sent more than 100 girls to school!) we’re dreaming big this year too! If you’re not familiar with the campaign, we’ll do a quick summary, but keep reading because we need YOUR help to pull it off! The campaign is simple: we use social media and the help of our incredible community to spread awareness of Kurandza’s mission and, more specifically, raise money to give more and more girls in Mozambique the opportunity to attend school. The campaign makes a statement that participants care about girls’ education and women empowerment and gives those who might not otherwise hear about our mission the opportunity to donate and join in. 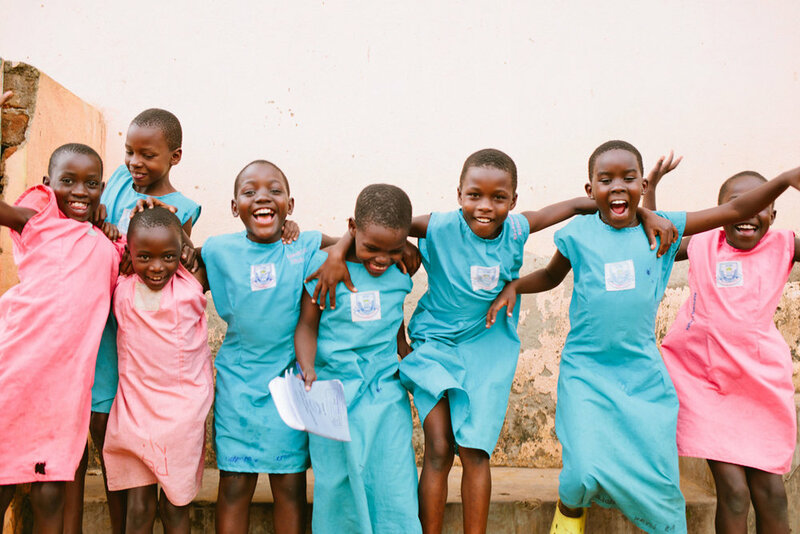 This year, we’re dreaming bigger than ever and hope to send TWO HUNDRED girls to school. That’s double our goal from last year, but we know that with your support it’s a goal that we’ll achieve! That part is simple too! All you have to do to join in the campaign is share a photo to Instagram, Facebook, or Twitter (or wherever! We’re all about spreading the word) of you holding a sign that reads “#IStandForGirls”. That’s it. If you'd like to receive the official launch team toolkit and join a community of like-minded women, you can sign up for the launch team here: www.kurandza.org/istandforgirls. We encourage creativity and want this campaign to be as fun for you as it is important for us, so have fun with it! We’re also hoping to get influencers and bloggers involved by sharing photos about why girls’ education is important to them, full blog posts about why they’re passionate about our mission, interviews with our founder or anything you can dream up to help spread the word. In addition to posting on social media and blogs, we’ll need to raise a considerable amount to send our girls to school. For the amount of $20/month or $240/year, one person can sponsor the education of a girl in Mozambique, including all of her tuition, school supplies, uniform and more! Timed perfectly with all things “back to school”, the 2018 #IStandForGirls campaign will launch on September 1st, and go all month long. We’ll have a big “push” on September 1st, but you can share anytime throughout the month as often as you’d like! Are you ready to join us? You can join anytime throughout the month of September, of course, but if you’d like to join a community of like-minded people and be a member of our official launch team (open to anyone!) you can click here to sign up! #IStandForGirls is a fun time to connect with inspiring people, but it’s also about supporting real girls with real dreams and we can’t do it without your help. WHAT KIND OF CONTENT CAN YOU SHARE? Although we love to leave it up to you to share about our campaign organically and as you feel best reflects your voice and style, here are a few examples of blog posts and interviews from supporters and launch team members from last year’s campaign. WHY JOIN THE #ISTANDFORGIRLS CAMPAIGN? You can join a movement that is about empowerment and education for all women. This movement is changing real lives of real women and girls in Mozambique. We are a small team made up of mostly local Mozambicans and truly every dollar raised goes to support creating a better lives for our girls. Word of mouth is the most powerful tool for change! We believe in the power of everyday women, not just celebrities or “public figures” to influence and create change. Spread the word to anyone and everyone!